Fill out our simple form and get quotes from local fun and games hire companies. Fun and games aren’t just for the kids, there’s all sorts to keep the grown ups out of mischief too! From festivals and garden parties, to weddings and corporate events, there’s always time for a bit of fun. Party game hire suppliers offer plenty of options, so simply complete a quote request form to get quotes and find out more. We will bring our lovely princess/unicorn pony to your party for pony rides and groom. Simply Discos provide discos, character costume hire and face painting. Based in Peterhead, Aberdeenshire. Croquet on the lawn or giant jenga are the ideal garden party or wedding party games, or go a little larger and hire a mobile casino as your event entertainment. Party game hire encourages guests to interact with each other and can act as a great ice breaker. Team building games for corporate events are available to hire, including mobile archery and bubble football tournaments. Festivals, fun days, charity events and fetes wouldn’t be complete without a little friendly competition, so how about a mobile climbing wall, football table or game of laser tag? 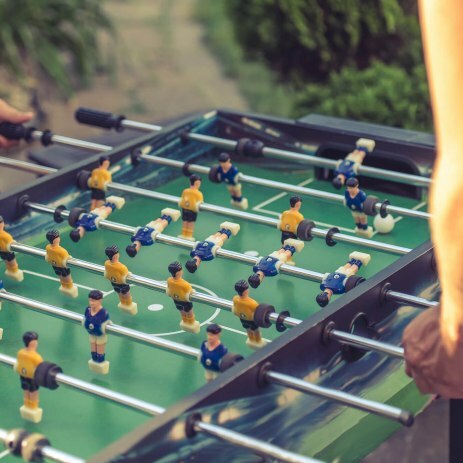 These are just a few ideas, but our suppliers are offering new games for hire all the time, so take a look here and find the perfect set of fun and games for your event.